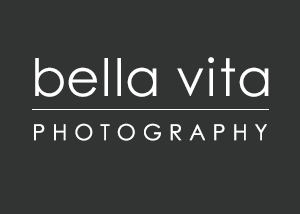 Why choose bella vita photography? Flashing lights. The best music. Adrenaline pumping. All eyes on you. bella vita photography has been turning seniors into rock stars since 2008. Every senior is welcome: tall, short, athletic, artsy, wallflowers, and the center of attention. No matter your story, we’re committed to telling it. We offer three different session options–pick the one that best meets your expectations! Offers 30 minutes of photographer's time in our amazing studio space. If you can change quickly, you can squeeze 2 different outfits into this session. Session time will focus on headshots suitable for the yearbook, but will include other images as well. This session will yield about 12 unique images for you to choose from. No sports/special interest images are provided in this session. Offers 45 minutes of photographer's time in our amazing studio space PLUS another 45 minutes outdoors (within a 10 minute drive of the studio). Most people can fit 4-5 outfits into this session. This session will yield at least 30 unique images for you to choose from. Offers 60 minutes of photographer's time in our amazing studio space PLUS another 60 minutes at a destination location (your home or school, Cincinnati, Dayton, Columbus, etc.). Additional fee may apply to locations more than 50 miles from studio. Plan on 7-8 outfits for this session, including sports or special interest uniforms/gear. You can also bring a best friend along for the experience, and we will photograph you together for a special keepsake of the day. This session will yield at least 60 unique images for you to choose from. You may purchase an Add-on to any session above, or even multiple add-ons! All add-on sessions have purchase requirements. We have actually developed suggested packages, based on the type of add-on session, with products that are not otherwise available. Most add-on packages start around $250-300, and your add-on session fee will be credited back at the time of your order/purchase! Sports/Special Interest Add-on lets you shine! These dramatic, artistically enhanced images spotlight your unique talents and skills, from en pointe posing in your ballet slippers to a diving catch in the outfield, we will create something really special for you. Add-on for $75. Seasons Add-on allows you to get more than one look from your senior year. Is your full session in the summertime. This add-on allows you to come back for those beautiful autumn colors or a snowy winterscape! This add-on is a 30 minute mini-session, outdoors only with one outfit. Add on for $45. Friends Add-on gives you the chance to bring in your BFFs for a fun mini-session. The almost party-like vibe of this session will ensure you all have a great time. There are no outfit changes included in this 45 minute session. Up to 10 people total. Add on for $45. Family Add-on is a separate session and will not be photographed on the same day as the senior session. This is a one-hour session for the senior's family (parents must be included also). This add-on must be purchased and completed before June 1st of the senior's graduation year. No outfit changes are included in this session. Ready to show the world who you are? Check out our style guides for more information, or call (513)319-3756 with your questions.